Home/Blog/Garage Floors and Foundations, What Is the Best Option? Are you wondering about your garage foundation? Garage floors and foundations are the building block of the structure. Without a foundation a garage would be unstable and not safely usable. The floor is directly over the foundation and is also needed for added stability and support of the structure. They provide the base and stabilization of the entire garage and need to be made of a material that can stand the test of time. Cement, or concrete, is that material. Cement, or concrete, can be used in many different applications. In terms of garage floors and foundations it is the best material because of it many properties. Cement is durable, so it can withstand constant use and varying temperatures. It is also more economical than other materials like stone or brick pavers. If you want your garage to stand the test of time and hold up under constant use than cement is the way to go. 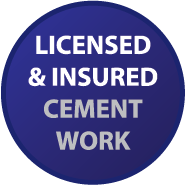 We are the local and trusted company providing high quality cement services including garage floors and foundations. Here at D & G Cement Co. we’ve been providing outstanding concrete services for over 50 years to the metro Detroit area. Are you interested in learning more about cement garage floors and foundations? If you are thinking about it, or have any questions, you should schedule an appointment to talk about our many products, costs and options and get an estimate for your home or business. To learn more about garage floors and foundations, driveways, walkways, porches and the rest of our products and services give us a call at (313) 277-2676.